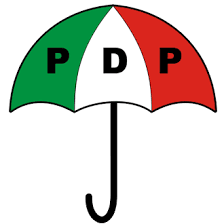 Trouble is brewing within the People’s Democratic Party (PDP) in Cross River State as prominent members and aspirants for the National Assembly seats, across the 18 local government areas protested against automatic tickets being offered incumbent federal legislators. The protesters, numbering over 200 party members and some aspirants, marched around some major streets of Calabar before heading to the PDP secretariat at Murtala Mohammed Highway, Calabar, the state capital. Those who took part in the protest were the former state chairman of the party, Ntufam Ekpo Okon, immediate past special adviser to Governor Ben Ayade on Security Matters, Mr. Jude Ngaji and the immediate past commissioner for New Cities in Ayade’s government, Mr. George Ekpungu. They said it was appalling that the national leadership of the party took the decision to return all serving members of the National Assembly, to placate them, and insisted that such decision is bound to create more problems for the party in the upcoming election than a solution.